Flexible workspaces are currently used by around 10,000 workers in Hamburg, encompassing a total floor area of 120,000 m². Two-thirds of that capacity is located in the city center, with 8% housed in the new HafenCity area. The remaining co-working spaces are found in areas bordering the harbor, Altona-Ottensen, St. Pauli, Barmbek and the City Süd area of the city. These numbers, however, are merely a snapshot of a burgeoning trend. Interest in co-working is exploding: Google searches for the term “co-working” have gone up by a factor of 20 since 2010. This boom has only just begun. 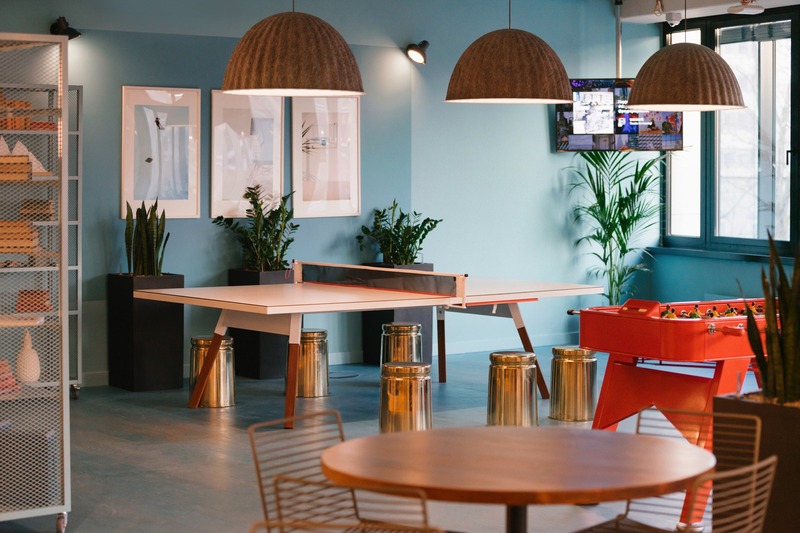 Its users rent space by the day, week or month and profit from an inspiring work environment (that also provides really, really good coffee). And they don’t have to take the trash out at the end of their day. There are no rules, no limits. Here in the sharing economy, the wi-fi and the printer always work. Start-ups rent entire office complexes, while other companies rent spaces for workshops, seminars, training sessions and team-building events. Workspace nomads stay for a few days before heading off to Oslo or Girona. Residents change their workspace scenery every day, choosing an environment that matches their mood or best suits their current task. Relaxed on Monday. Business on Tuesday. Brainstorming on Wednesday. Tweed on Thursday. Creative on Friday. In Hamburg, the co-working scene has created spaces for any task or project, suiting any taste or aspiration. We’ve put together a list of co-working, workshop and hybrid spaces in Hamburg. But be warned: some of these spaces are simply too beautiful to just work in them. Need a location that’s close to the center of town? It doesn’t get any more central than this. Design Offices has taken the idea of tailoring a space to the demands of modern businesses to a new level. Sober, functional elegance is the defining aesthetic of this facility. And it’s far more than just another co-working space. Conferences, meetings, presentations, receptions, catering: this space has everything to offer. Even inspiring views from panoramic windows and a roof-top terrace. There are other spaces better suited to slacking off or bumbling around trying to get creative. But if you’re looking for a venue for that crucial video conference with a multinational to close your next consulting deal, this is the place to go. 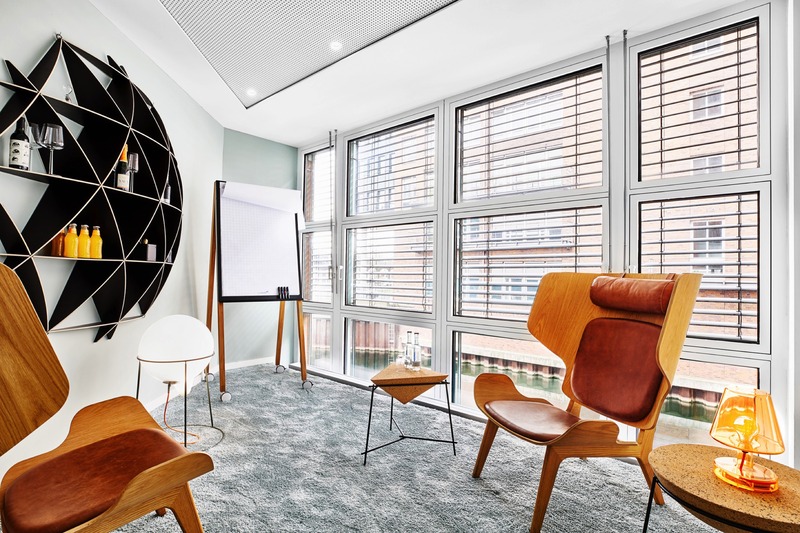 Find out more about Design Offices’ workspace on Domplatz. Design Office’s other premium facility in Hamburg is also infused with urban flair. But this is the more vivacious, colorful of the two. Comprising 1,200 m² of premium office space, this facility has everything a 21st century workplace needs. Its designers have thought of everything. The only thing left to chance is the weather on the roof-top terrace. 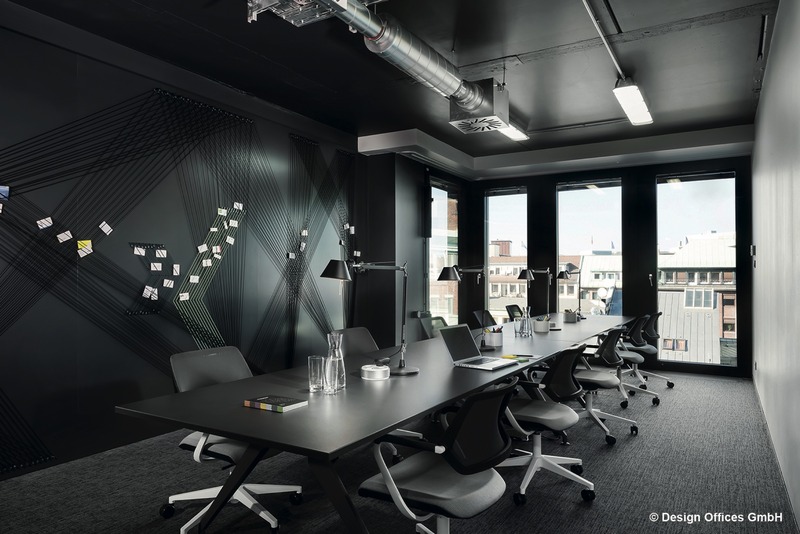 Find out more about Design Offices’ Görttwiete facility. Flooded with light and boasting wonderful views of the old warehouse district, the BAZE Business Center exudes the charm of a bright, airy loft space thanks to its invitingly open architectural style. It’s got the atmosphere of a stylish apartment owned by a millionaire — but one also used to conduct business. Its appealing meeting lounge and generously proportioned conference rooms are ideal for small and mid-sized project groups. Find out more about Baze Business Center. Designed by famed architect Massimiliano Fuksas, this special co-working space melds work and leisure in a uniquely organic way. 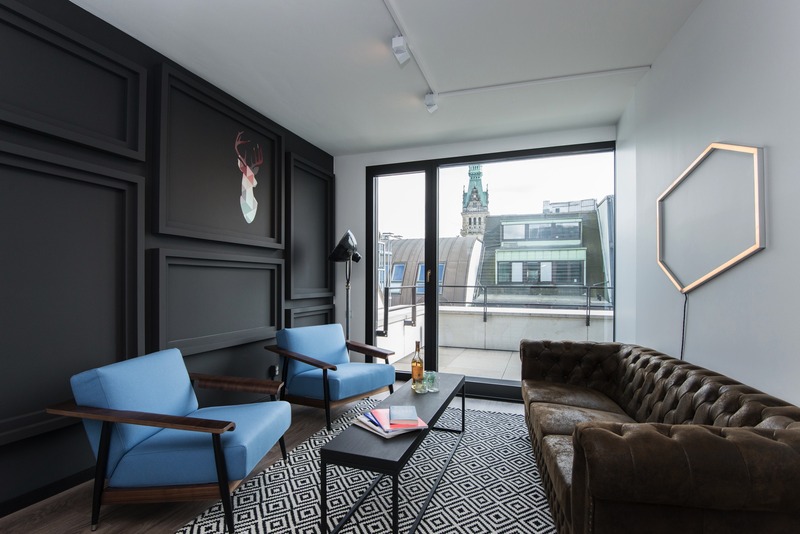 Located opposite the former HQ of the renowned Springer publishing house, the lobby of WeWork Stadthaus would be in keeping with a first-class designer hotel, or a lecture hall at a super-posh private university. It provides spaces for groups of up to 50 people, but freelancers are equally welcome (so are their dogs). 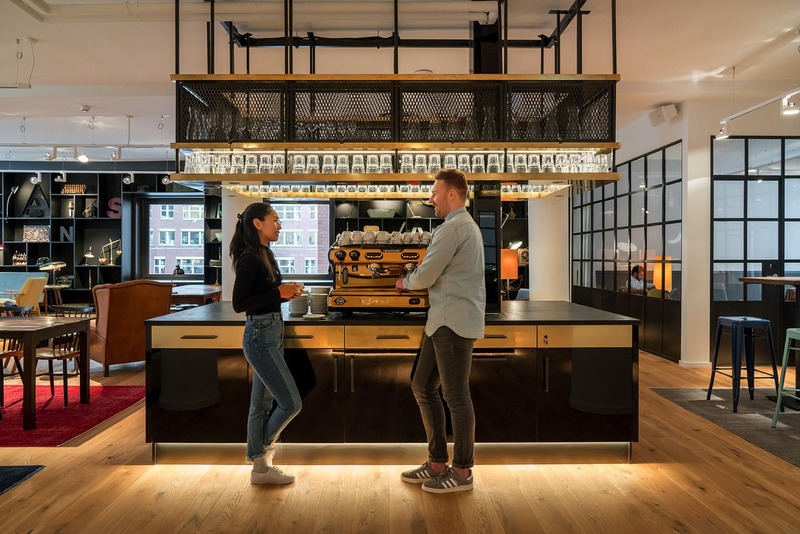 Find out more about WeWork spaces in Hamburg’s Hanseforum. FrachtRaum is the ideal space for events, workshops, conferences or photo shoots. Bright concrete walls are paired with the organic wooden elements, creating an inspiring space to work and relax. This is an ideal environment for mid-sized project teams or team-building events. 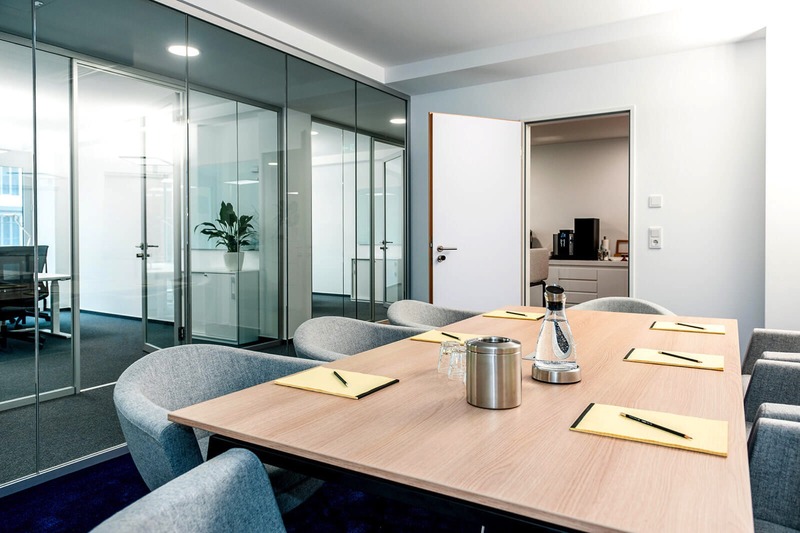 Generously sized rooms that foster excellent communication are interspersed with niches and compact spaces tailored to working quietly or with a few colleagues in small teams. Work groups renting spaces here will emerge at the end of each day with impressive results and inspiring ideas for the next day. Find out more about FrachtRaum, Neuer Wall. The decor here is dominated neither by ascetic Scandinavian minimalism nor by ultra-cool hipster aesthetics. Warm cream and gray tones are visible throughout this inviting space. It reminds us of apartments belonging to the well-heeled protagonists of Woody Allen films (in his Ingmar Bergmann phase). These rooms exude a timeless elegance as well as a captivating allure. Hamburg’s most spectacular roof terrace offers a stunning view of all Hamburg’s tallest church spires. Find out more about COLLECTION Business Center. This is a a laboratory for ideas, an urban salon, a inghtclub. So not exactly a sombre workspace you’d choose to, say, do your tax returns. This is where you go when you need to channel your creativity to deliver some “Eureka!” moments. You know, the kind that mean you have tax returns to do in the first place. A great internet connection and first-class coffee are, of course, standard. 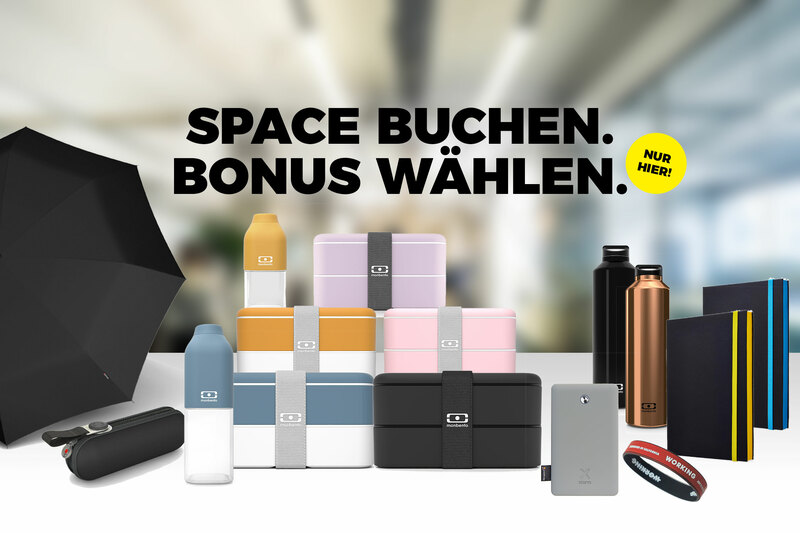 Find out more about Mindspace am Rödingsmarkt. The designers here went all-out to obliterate the barriers between leisure and work. This space is all about communication, helping its members develop new ideas that they might not have had otherwise. Yet this space also provides plenty of quiet refuges from all the bustle. Build your own inspirational community, right here at Ruby Hans. Play darts, make some music, cook together, party. Whatever you need. The Ruby Hans app networks its members, while the integrated city travel guide will lead you to exhilarating new locations and places. Find out more about Ruby Hans Workspaces here. WorkRepublic, on the other hand, is a no-nonsense work environment. And that has distinct advantages. So it’s not as relaxed as some of the hipper hang-outs in the neighborhood. But this workspace is clearly structured and goal-oriented. The conference rooms have a serious, focused atmosphere, exuding a suavity that Don Draper would feel comfortable working in. As an option, you can add your company logo next to the entrance or use the address as your official company location. Find out more about WorkRepublic. 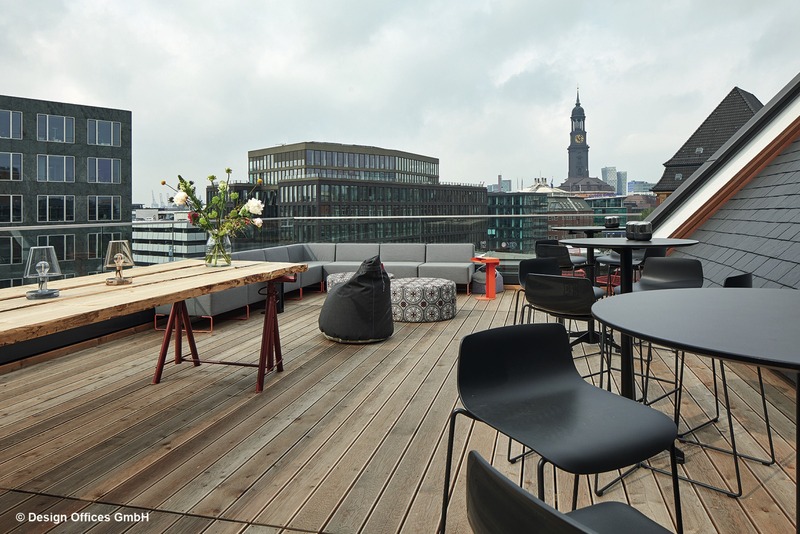 Premium facilities and unbeatable views: This co-working space is exemplary for Hamburg’s reputation as a gateway to the world. The only downside of the spectacular views is that people taking part in the meetings, workshops or seminars might feel their attention wander, their imagination drift away to some far-flung corner of the world. 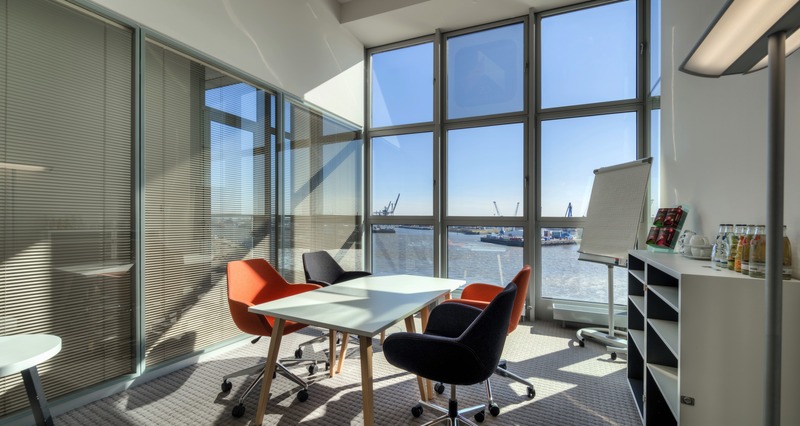 Find out more about CS Business Center HafenCity. This is a paradise for freelancers and free agents across 315 m². Once home to a paper bag factory, this historic building now houses an inspiring Creative Zone that’s flooded with natural light. If you need some quiet time, just cross the wood-floored hallway to find a quiet space in one of the lounges. The telephone boxes are ideal for confidential calls. The excellent coffee is provided by Manufaktur Leuchtfeuer. And the other facilities are top-notch, too. Die Diele is open 24 hours a day and offers lockers for valuables. Pricing for a day pass starts at only €16. Find out more about Die Diele. 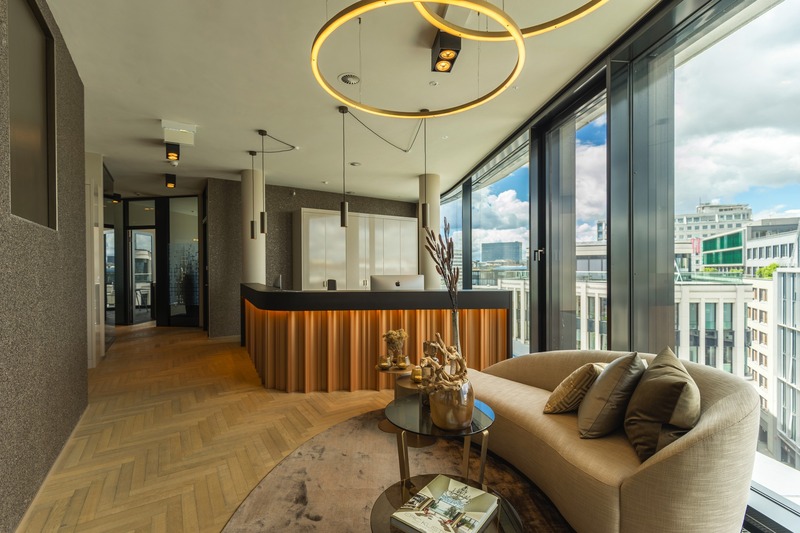 Housed in the 13th floor of the Alster Tower, the roof terrace accessible from this remarkable rental space offers breathtaking views of the city. In fact, the whole atmosphere here is pretty spectacular. It’s so close to the Alster Lake that the locals say you can spit cherry stones into the water from the rooftop. After work, enjoy a relaxing jog through the nearby cherry trees. This is an ideal workspace to spark your team’s creativity. Find out more about Sturmfreie Bude. Looking for a co-working space in Hamburg? If you book your space through Office Inspiration, we’ll both have reason to celebrate. We’ll be happy to have you as a new guest while you can look forward both to your new workspace and a little welcome gift (it’s on us). Ask us for more information or arrange a viewing by sending an email to office@officeinspiration.com. Let us know which reward you’ve selected, how much office capacity you need and the dates you want to book. If you have a suggestion for a viewing appointment, let us know and we’ll get right back to you. 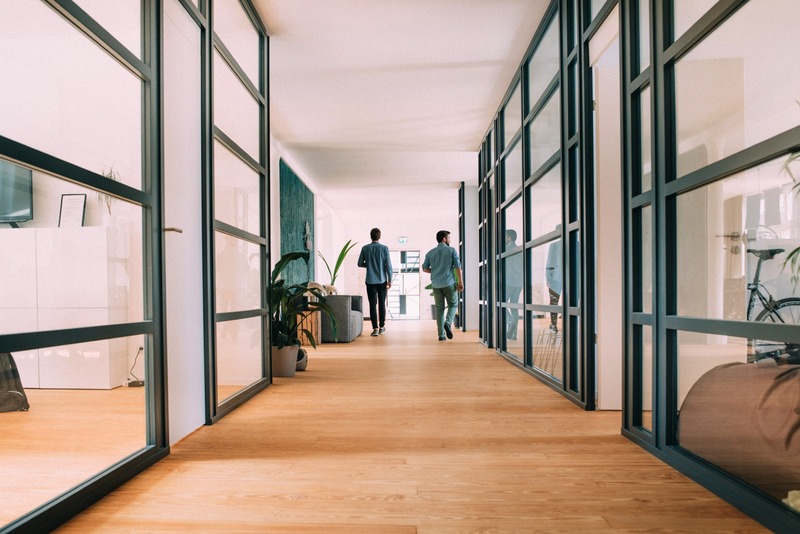 Click here for an overview of all workspaces in Hamburg.